Buoyed by his back-to-back victory in the abridged Nigeria Professional Football League (NPFL), MFM FC Coach, Fidelis Ilechukwu, on Tuesday said he hopes to spring a surprise when he side face Katsina United during the midweek fixtures. 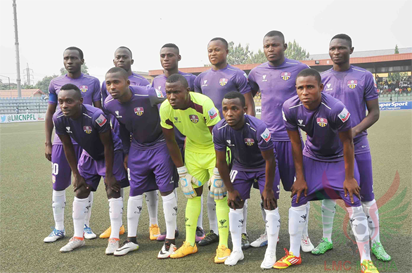 News men report that the Olukoya Boys have been on full throttle since they a got surprise 1-0 victory over Remo Stars FC in the NPFL Match Day 7 played in Oshogbo. “I don’t know about luck, but I think the spiritual aspect people are talking about works. It may surprise everyone if we win in Katsina or at least take a point. “The league is open to everyone, you either win, lose or draw, all are possibilities. The team is evolving and trying their best. “If my team is able to pick a point in Katsina, it is all well and good, but if not, we will always give our best to our fans,” he said.